Tank Details: 29 Gallon freshwater tank. 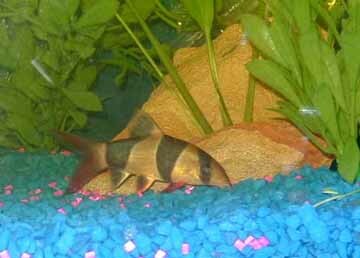 The Fish: 3 Clown loaches (4-inch), 1albino cory catfish, 2 ottos, 5 jumbo neons. 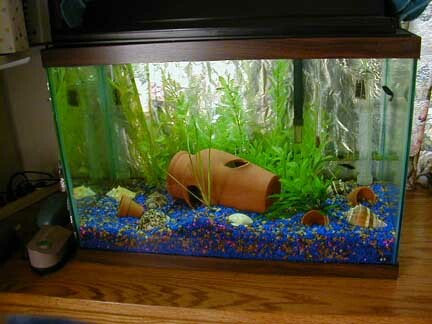 Comments: This tank has a Fluval 204 filter, heater, java ferns. Terracotta pots and seashells for decoration. Has been set up and running continuously since April 2000, the same month I joined TFC.